Japanese is a fascinating language. With about 125 million native speakers, it is definitely among the most widely spoken human languages on the planet. At the same time, unlike the vast majority of other major languages, it is primarily spoken in one country – Japan. When we talk about most languages, we usually start with which family they belong to. For example, there are German language families, Romance language families, Slavic language families, etc… With the Japanese language, some argue that it belongs to the Japonic family of languages, but with the Japanese language spoken chiefly in one country, I feel like that’s a largely academic discussion. 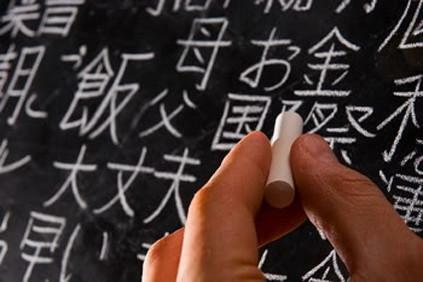 Ironically, as ancient as the Japanese civilization is, there’s actually precious little known about how the language evolved. As early as the 3rd century, Chinese documents can be found that document a few words from the Japanese language, but few substantial texts reference much until the 8th century. Another interesting fact about Japanese is how unique it is. When most people think of European languages, they understand that there are relationships between them. French, Italian, Spanish and Portuguese, for example, are all romance languages. English and German are Germanic, and there are relationships between languages spoken in Scandinavia as well. Interestingly enough, when we look at the closest geographic neighbor to the Japanese language – China – we see no major relationships. Beyond the fact that the two languages share Kanji characters, there are few meaning relationships between the two languages. Ready to start learning Japanese? This post shares our tips on the best way to do it.